Paris - With a wave of films, television series and art shows championing "gender fluidity" -- and catwalks awash with "gender neutral" models and clothes -- the old dividing line between the sexes is being increasingly called into question. But as the blurring of boundaries has gone from the margins to being a progressive cause, the political temperature of the debate has risen sharply. Gender fluidity has become a hot-button issue in the culture wars between liberals and conservatives, often reduced to newspaper stories over "which bathroom somebody chooses," said Johanna Burton, curator of the exhibition "Trigger: gender as a tool and a weapon" which has just opened at New York's New Museum. "It is very much an exciting moment, but also a scary moment politically... 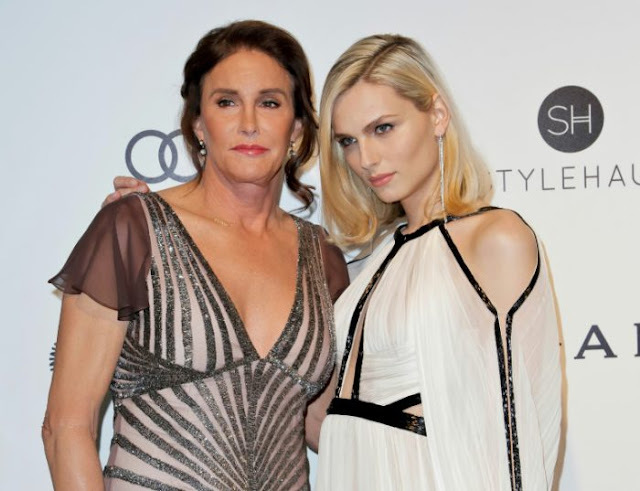 Gender is in the forefront of people's thoughts right now," she added. "I think people have considered the limits of the binary construction of gender for a very long time, but only recently has it made the newspapers every day." No one has put gender issues out there more than Bruce Jenner, the former decathlete and erstwhile member of the Kardashian clan, whose transition to becoming Caitlyn in 2015 pushed the subject into the mainstream. Time and National Geographic magazines have both devoted their covers to the transgender debate. And later this month Conde Nast, the publishers of GQ, Vogue and Vanity Fair, will launch a new glossy magazine aimed at LBGTQ people (lesbian, bisexual, gay, transgender and questioning). Hollywood too has played a part. First the Wachowski brothers, creators of "The Matrix" movie franchise, became the Wachowski sisters and then they cast transgender actress Jamie Clayton as a hacker in their hit Netflix series "Sense8". One of the first places trans issues stepped out of the shadows was on stage. And next year's Avignon festival in France, the world's biggest theatre gathering, will be on the theme of "gender, trans identity and transsexuality". "Gender doesn't exist anymore," according to Guram Gvasalia, the business brain behind fashion's ultra-hip label of the moment, Vetements, whose collections are all mixed. "Man or woman, we can choose what we want to be," insisted Gvasalia, whose brother Demna Gvasalia designs for both the label and Balenciaga, where he has carried on the relaxed attitude to gender. On the catwalks of Paris, New York and Milan, brands now regularly show "mixed" collections and many market their clothes as "gender fluid". Philosopher Thierry Hoquet calls this the "Conchita Wurst phenomenon", after the bearded Austrian drag queen who won the Eurovision Song Contest in 2014. "Today some people mix masculine and feminine characteristics, and they do not need to be coherent," he said. While the author of the book "Sexus Nullus" claimed these "gender pirates" are very rare, he believes they are also very influential. But this new emerging reality is not to everyone's taste. "There is a political battle being waged right now on the territory of gender," said the American historian Joan W. Scott, a specialist in women's history and gender studies. "The 'forces of order' and 'anti-gender' groups -- the Vatican, religious fundamentalists, populists, nationalists, even some in the centre and on the left -- have organised to stop the spread of the idea that gender is fluid or flexible and always mutable," she said. US President Donald Trump was quick to realise it was a hot-button issue which could shore up his conservative base. 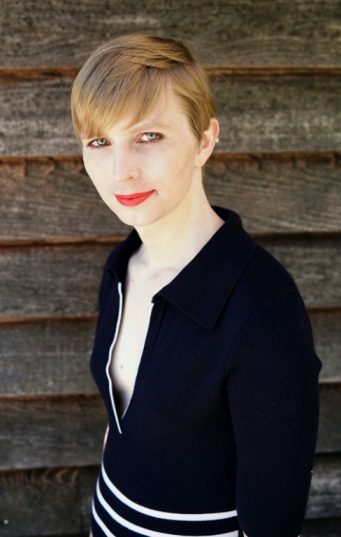 He banned transgender people from serving in the US Army in August and insisted on calling trans whistleblower Chelsea Manning a "he". In France, large protests against the legalisation of gay marriage in 2013 included slogans like "Hands off our stereotypes!" They also spawned a movement to protect "traditional family values" and roles which later helped fuel a furore over false claims that a "theory of gender" was being taught in schools. French sociologist Marie Duru-Bellat said that while trans issues have been embraced in the arts world, in society at large "there has been a hardening of attitudes", and a reinforcing of the idea of an uncrossable divide between men and women. She said some Catholic groups are holding "masculinity support" workshops and pointed to how gender stereotypes are still very strong among children. "There are a lot of people for whom equality is about men and women complementing each other," said the academic, who wrote "La Tyrannie du Genre" (The Tyranny of Gender). "So for them, you cannot touch traditional gender models."